In mid-October, for the first week in several months there were no state houses removed from Glen Innes . House removal companies and police backed off after intense protest activity which culminated in the arrest of seven protestors including MANA movement Leader Hone Harawira. “This is a small victory in the battle of Glen Innes” said MANA Vice President John Minto in a press release. “The government wants to ‘redevelop’ Glen Innes, not for the people who live there but for wealthier families from other areas, the poor are to be shifted out to South Auckland or into high rise state housing in GI which on past experience will look like a slum in five years” said Minto. 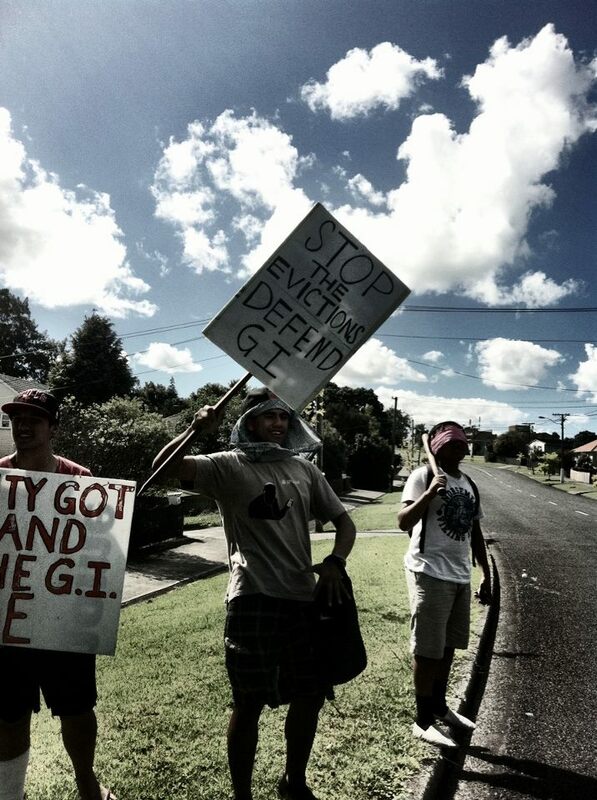 In relation to this comment “The government wants to ‘redevelop’ Glen Innes, not for the people who live there but for wealthier families from other areas, the poor are to be shifted out to South Auckland or into high rise state housing in GI which on past experience will look like a slum in five years” said Minto. If they are trying to rebuild G.I for the wealthy as stated then why were all removed residents given the option to buy their current state houses? That’s not throwing the poor people out.